Radio420™: New Ouija Merch, Music, and Meet & Greet Packages Now Available! 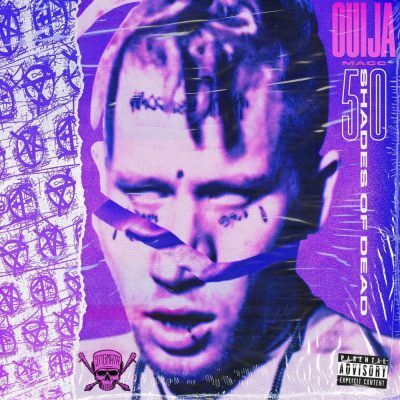 Our homie Ouija Macc has been on a mad tear releasing music, videos, and all kinds of goodies for you to get your hands on! Today, I’ve got a few different things to inform you about so that you can decide what you want to snag. First off, Ouija’s got a bunch of options available for those of you who want to spend some good quality time with him! There are Meet & Greets for both Fury Fest and the Soopa Gathering, and you even have different levels of each of those! I’ll just post the info below so I don’t confuse anyone by trying to explain it myself. 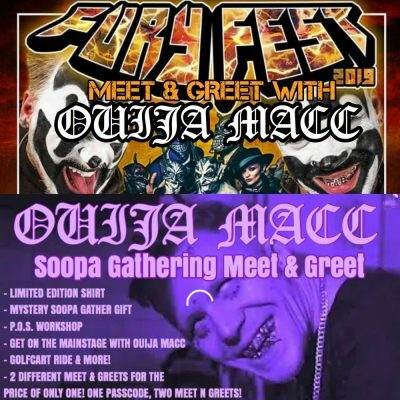 Click to purchase a Ouija Meet & Greet! -Hang with the GUTTERGANG & hear things the outsiders will never know. PRICE OF ONLY ONE! ONE PASSCODE, TWO MEET N GREETS! Those meet and greet packages range from $100-200, so check the features, choose what you like, and pick one up! The next thing we’ve got is a new t-shirt and pendant drop! Here are the details. This *VERY LIMITED* kit comes with a T-Shirt & Chain+Pendant combo. When worn the planchet pendant grazes the letters of the spirit board print & sends+receives spiritual communication BWO natural body movement. All chains are 26 inches to include the largest of homies & allow for size-reduction as needed for the medium Marias & tiny Todds… items are available separately also. Be sure to explore bundle options & add ons!!!! All items will ship directly from Relish Brand on or before May 1st. All sales are final & All completed orders are subject to be handled & shipped. Please make sure you verify your shipping info before confirming your purchase. Thank you! You can get each of those individually ($30 for the shirt and $80 for the pendant/chain), or together as a bundle for $100. This jam packed mix is over an hour of some of the rarest hottest and most sought after OUIJA MACC music on one NON STOP party that will blow da lid off any function. CDs very limited!! Random copies will be signed but to ensure your copy is signed & includes a note from Ouija Macc get the deluxe!!!! All orders ship April 1st.